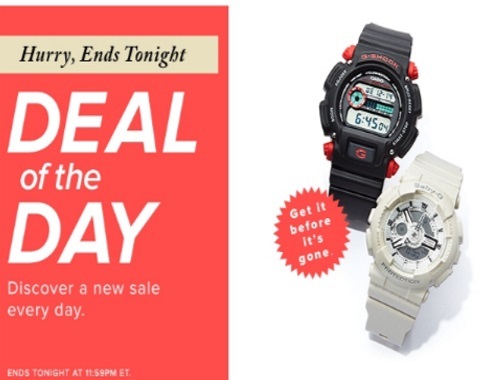 Hudson's Bay Deal of the Day is on watches! Get select Casio G-Shock and Baby-G Watches for $79.99 (regularly $109.99-$139.99) and other Casio watches for 25% off. This offer is valid today only until 11:59pm ET.